The idea of granting licenses to expand production of Macs was abandoned by the new CEO (Michael Spindler, who was appointed in June 1993). 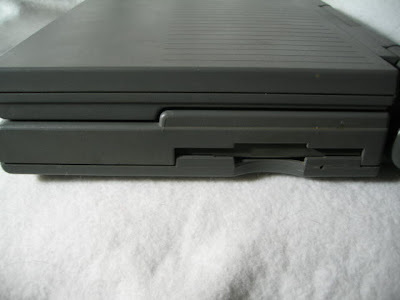 In 1991, the PowerBook first appeared. It was a great success. Apple then began to study the Personal Assistants, who later would lead to the release of the Newton in August 1993. The handwriting recognition system, not very developed, does not provide a very favorable opinion of the users. In 1994, the Power Mac first arrived. These machines, using a processor developed by the joint powers of IBM and Motorola, proved well able to compete and surpass the speeds of the latest Pentium processors. Besides this, licenses were granted to some companies to build Mac clones turning MacOS (Power Computing, Umax ...), but this opening was not sufficient to address the backlog of trade policy from Apple. In addition, the release of Windows 95 did not help things. In January 1996, while Apple crossed its biggest crisis, the Performance machines, low cost, was another failure, and Spindler was forced to resign. Gil Amelio replaced him.